YouTube personality Alastair “Ally” Law, 21 of Southampton, well known for performing parkour stunts and doing free solo climbing while trespassing on a range of buildings and structures, has been condemned in court for his reckless behaviour. On Thursday, 26 July 2017, Surrey officers were called to Thorpe Park to reports that a man with a camera was standing on top of the Stealth ride, a 205ft rollercoaster. Law was given strong words of advice by officers about the wasting of police resources due to his dangerous and irresponsible act. However on 26 January 2018, Law, accompanied by Ryan Taylor of Bloxwich was again arrested by police after trespassing into the Elstree TV studios in Hertfordshire, while the show Big Brother was being filmed. Following their arrest, Law and Taylor were convicted of aggravated trespass at St Albans Magistrates Court on 10 December 2018. Law was also given an interim Criminal Behaviour Order, which banned him from going beyond safety barriers on any building open to the public. This prohibition covered the whole of England, Northern Ireland and Wales. Earlier today (5 March) the two men were sentenced for the aggravated trespass. Each received a community order to complete 120 hours of unpaid work; pay £1000 costs and compensation to three victims; and they must forfeit the SD cards and cameras used during the incident for destruction. Ally Law was also given a five year behaviour order, which prevents him from uploading footage of him trespassing on any property without the owner’s consent. He is also prevented from entering film or TV studios, any property owned by the Merlin Group, or being on any other structure (or commercial property out of hours) without the written permission of the landowner. The judge heard that, although Mr Law did not perceive himself to be at risk, his lack of disregard with this actions could potentially influence and insight others into committing similar stunts. The CBO reflected this by prohibiting Law from inciting anyone else to trespass in a similar way. The CBO should act as a potential deterrent to any others thinking about following his footsteps. Any breach of the conditions will see Law face a possible five-year jail sentence. 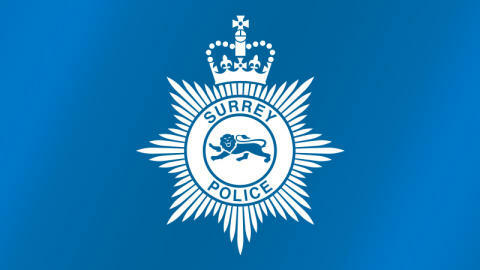 The Criminal Behaviour Order was bought jointly by Surrey Police, Hertfordshire Police and Hampshire Constabulary. “Ally Law has offended all over the country and we used evidence from all over the country in our application because we know that he has been causing numerous police forces issues for some time, this means the Criminal Behaviour Order applies in England, Wales and Northern Ireland.